We were late by an hour to start with. We woke up on time but we had too many things in the morning to do before taking off for a month. Those things took more than we expected. The drive was easy, in fact it was quite boring. There was not much traffic and NH7 is well maintained. I drove at a very decent speed. We reached Hyderabad post lunch. We were very tired and weather was extremely hot and dry. Only thing we could do was to sleep. Evening we went out for dinner at Cafe Bahaar and took an auto to Charminar. 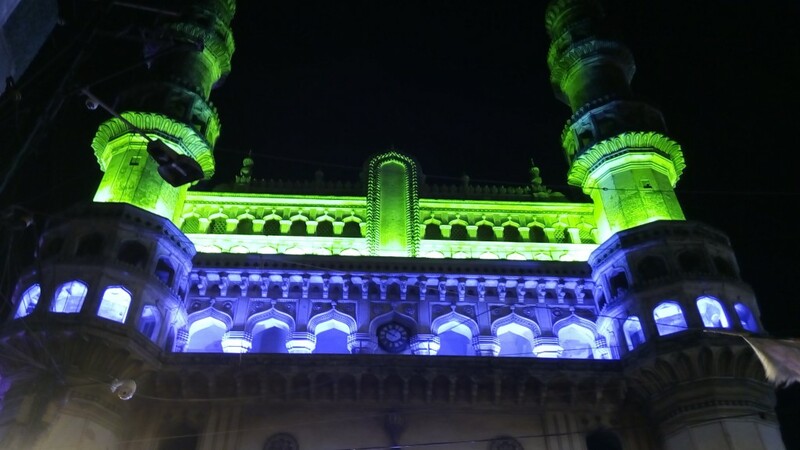 Charminar was blocked to celebrate for some Govt celebrations. Hence we had to be happy with the picture from a distance. Tomorrow we are leaving to Nagpur. It’s another 500+KMs. But I have been told roads are good. So nothing much to worry.